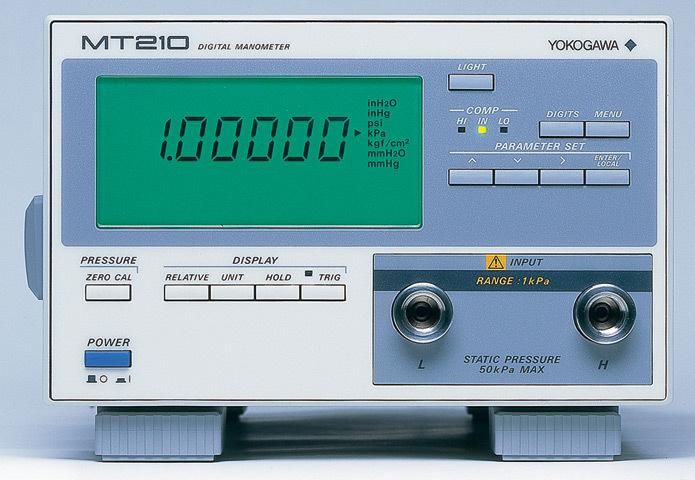 The MT210/210F series of digital manometers, produced by combining YOKOGAWA's best pressure measurement technologies, offers excellent accuracy, reliable operation, and a variety of applications. 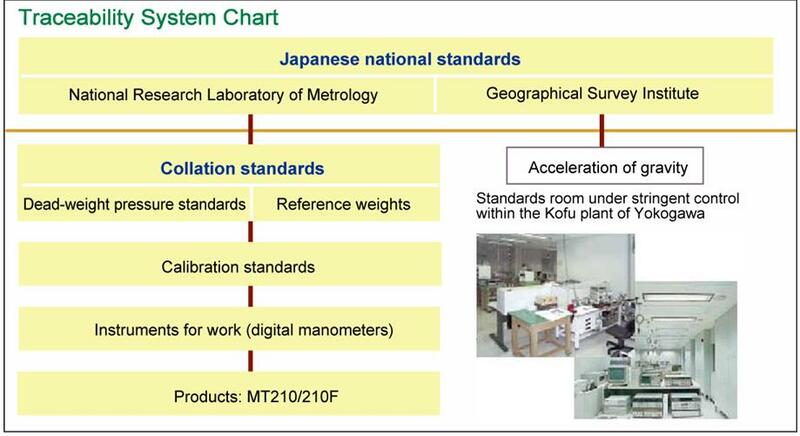 These measuring tools provide the perfect solutions for a wide range of technologies. 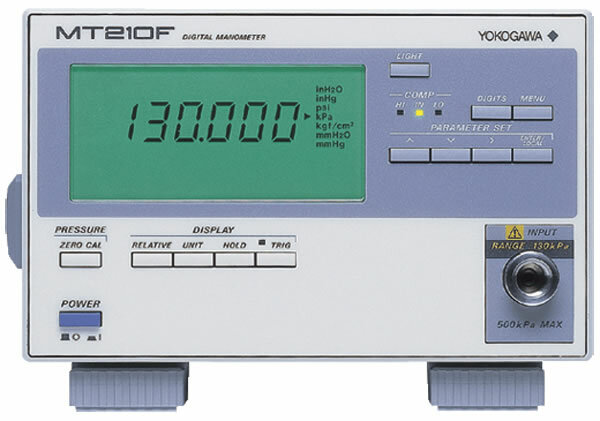 The MT210/210F series features high performance, and a high, basic accuracy of ±0.01% thanks to the YOKOGAWA-original silicon resonant sensor. The silicon resonant sensor is highly immune to environmental discrepancies such as temperature changes. The MT210F series has been added to our range or pressure measuring instruments in order to support high-speed measurements. 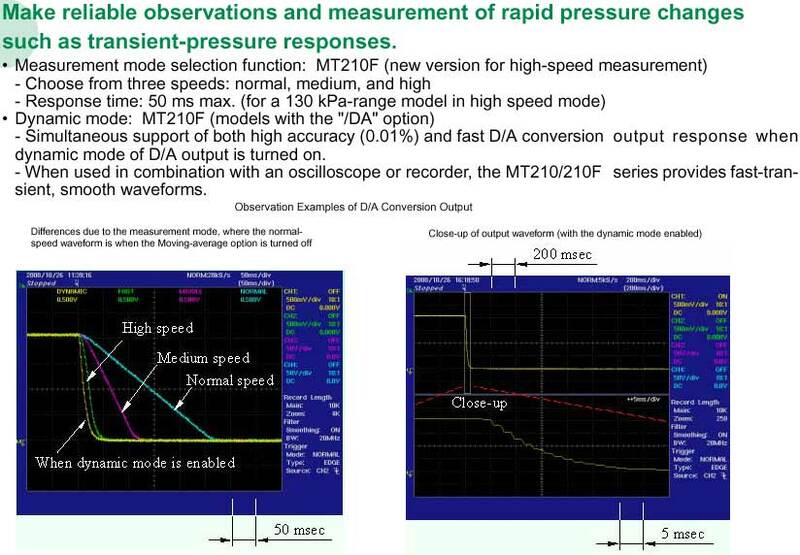 These measurements, such as the observation of transient-response characteristics, include relatively fast pressure changes. You can choose a model to fit your application from models with different pressure types/gauges and absolute and differential pressures. Also choose among models with pressure ranges from the low differential pressure of 1 kPa to the gauge pressure of 3000 kPa. Never be bothered by the labor of switching between models. The MT210/210F series can measure both gases and liquids. With the new differential-pressure models you can measure liquids that you couldn't measure before with the MT110-series differential-pressure models. 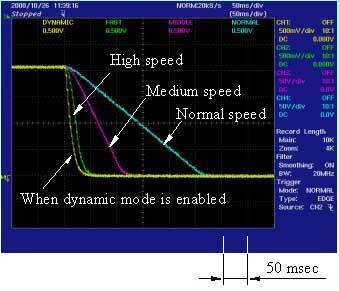 Use these I/O functions to set the upper and lower limits, judge the measured value, and output the result through an external terminal. 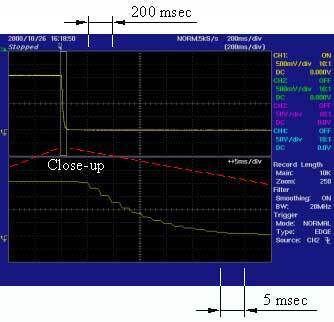 What's more, you can apply a start-of-measurement trigger using a falling edge of an external trigger signal. These features will help automate your production/inspection lines of pressure-related products. 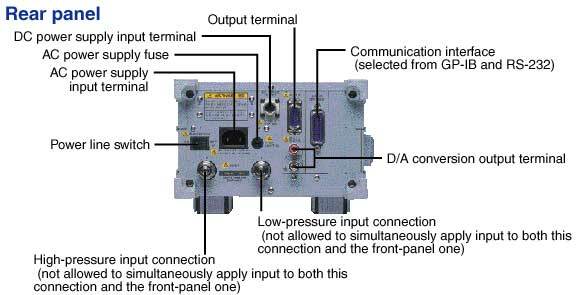 The MT210/210F operate on a 12-V DC power supply. This feature is useful for in-vehicle tests. Operation on Ni-Cd battery pack The MT210/210F series, which come standard with a built-in battery charger, can continuously operate on an optional Ni-Cd battery pack for approximately 10 hours. The MT210/210F series feature additional functions such as support of high-speed measurement, while inheriting the basic performance from their predecessor, the MT110. The MT210/210F series share the GP-IB and RS-232 communication protocols with their predecessor, the MT110. No modifications to the communication protocols are necessary when expanding a system that uses the earlier series or when replacing the series.